FPSA Associate --- Angela Sturm MD --- Honored by Women's Chamber of Commerce of Texas! Facial plastic surgeon, Angela Sturm MD, was recently named the Women's Chamber of Commerce of Texas Business Woman of the Year (TBOY): "Texas Blazing Star" for 2013. Dr. Sturm is an Associate with Facial Plastic Surgery Associates located in the Texas Medical Center in Houston. The "Texas Blazing Star" award was announced at the MAPcon + TBOY Conference and Awards event in Austin, Texas. This prestigious distinction recognizes business women who are on the fast track to success. 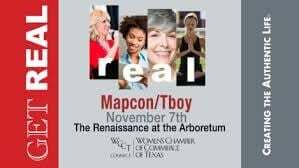 The event is presented by the Women’s Chamber of Commerce of Texas and is known as the “Academy Awards” for Texas business women. The coveted awards are given to business owners and professional women in Texas, whose style and drive go above and beyond setting them apart from the crowd. “I’m elated to have received such a distinguished award, said Angela Sturm MD. It’s an honor to have been nominated and recognized for my hard work and effort towards my profession and community.” Facial Plastic Surgery Associates founder, Dr. Russell Kridel, adds, "I am so thrilled for Angela to be named a 2013 Trailblazer. She is highly deserving of this award for her contributions to facial plastic surgery, her commitment to the highest standards of patient care and for all of her contributions to our community as a whole." Please join all of us at Facial Plastic Surgery Associates in congratulating Angela on this great accomplishment!